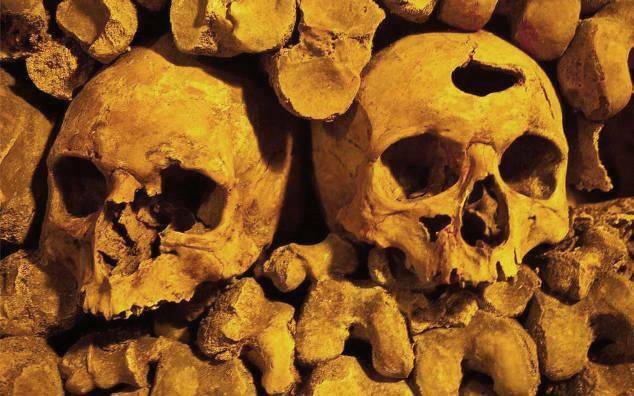 The name of ‘Catacombs’ was given to this ossuary in reference to the Catacombs of Rome, a name originally given to an ancient cemetery situated not far from the Appian Way. 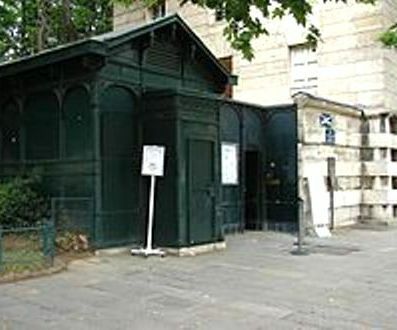 The Cemetery of the Innocents (near Saint-Eustache, in the area of Les Halles) had been in use for nearly ten centuries and had become a source of infection for the inhabitants of the locality. After numerous complaints, the Council of State decided, on November 9th 1785, to prohibit further use of the Cemetery of the Innocents and to remove its contents. Disused quarries were chosen to receive the remains; the City of Paris had in fact just completed a general inspection of the quarries, in order to strengthen the public highways undermined by them. 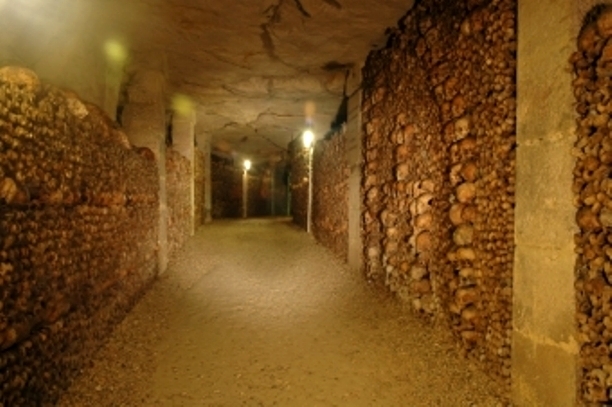 Building work was done on the “Tombe-Issoire” quarry, using large quantities of stone, strengthening the galleries and completed by digging out a staircase, flanked by a well into which the bones could be thrown. The transfer of the remains could begin after the blessing and consecration of the site on April 7th 1786, and it continued until 1788, always at nightfall and following a ceremony whereby a procession of priests in surplices sang the service for the dead along the route taken by the carts loaded with bones, which were covered by a black veil. 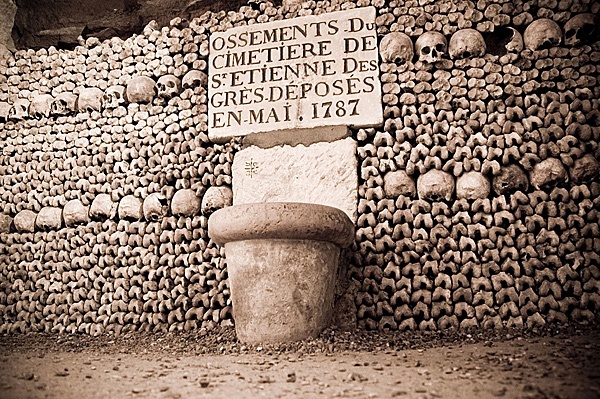 Then, until 1814, the site received the remains from all the cemeteries of Paris. 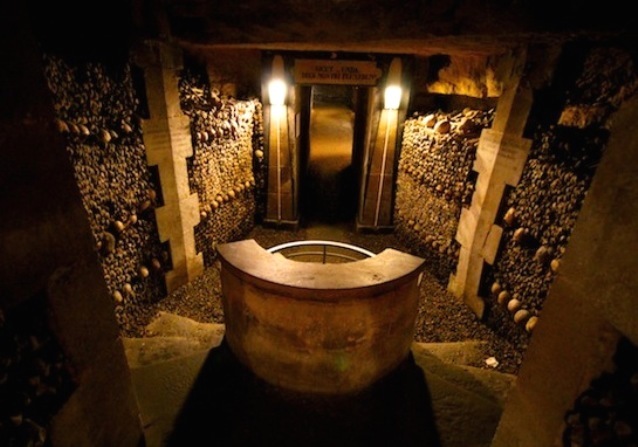 An ossuary, also referred to as a bone house, is a facility for the storage of human bones. 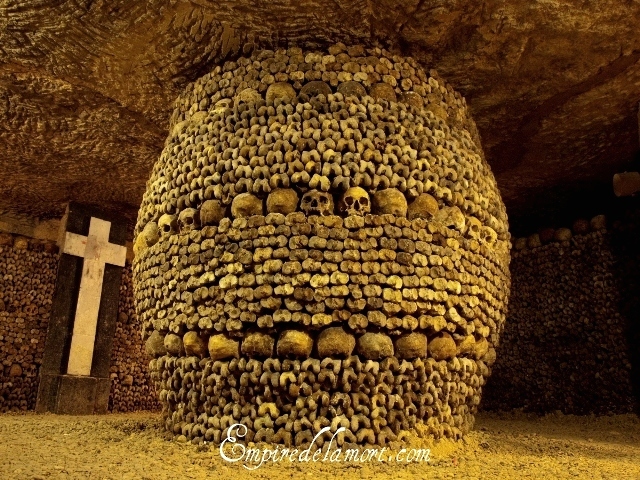 Ossuaries can range from complex underground crypts to simple wooden boxes. They play a vital role in several world religions which practice exhumation of bodies after burial. 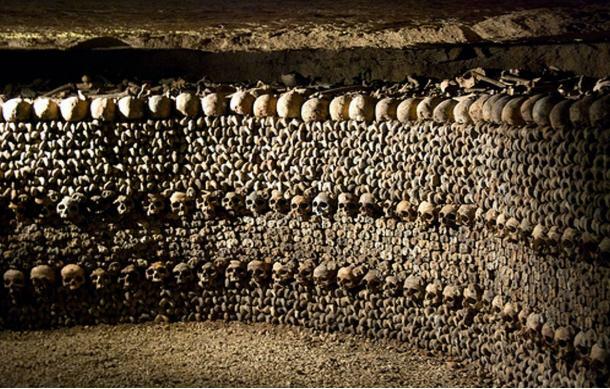 Many countries have ossuaries that people can visit, some of which include architectural features made from bone including chandeliers, wall decorations, and flooring. 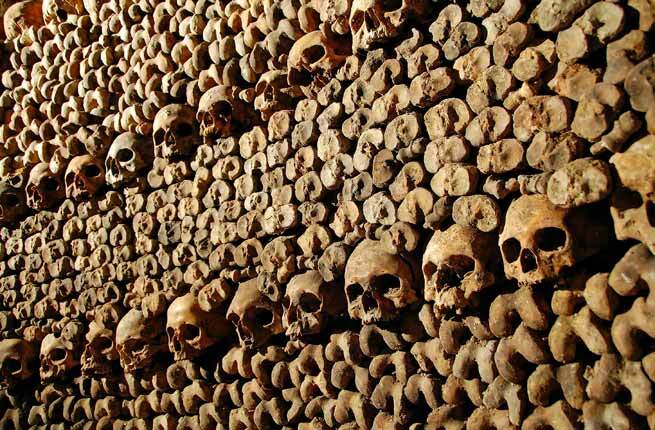 Most ossuary buildings contain individual boxes of human bone, also called ossuaries. Exhumation is most common in the Eastern Orthodox Church, where bodies are exhumed several years after burial so that the bones can be transferred to an ossuary. Many customs accompany the exhumation, varying by area. A common tradition is that the moral righteousness of the individual can be determined by the condition of the body. In the Catholic Church, an ossuary is used to house the relics of saints, and many deeply religious individuals make pilgrimages to the site of ossuaries so that they can look on the remains of saints and other individuals sacred to the church. The Zoroastrian religion also incorporated the use of ossuaries for skeletonized bone, throwing the bones into a large well. 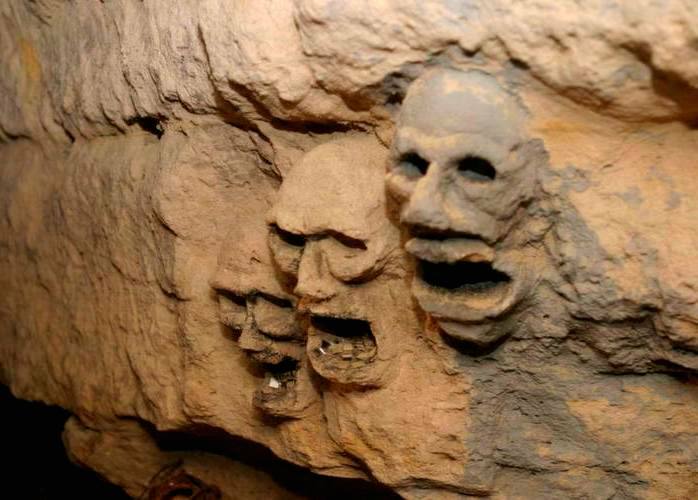 Catacombs are human-made subterranean passageways for religious practice. 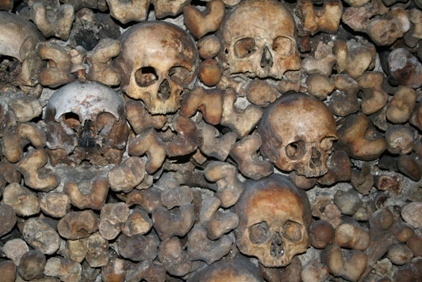 Any chamber used as a burial place is a catacomb, although the word is most commonly associated with the Roman Church. The first place to be referred to as catacombs was the system of underground tombs between the 2nd and 3rd milestones of the Appian Way in Rome, where the bodies of the apostles Peter and Paul, among others, were said to have been buried. The name of that place in late Latin was catacumbae, a word of obscure origin, possibly deriving from a proper name, or else a corruption of the Latin phrase cata tumbas, "among the tombs". The word referred originally only to the Roman catacombs, but was extended by 1836 to refer to any subterranean receptacle of the dead, as in the 18th-century Paris Catacombs. All Roman catacombs were located outside city walls since it was illegal to bury a dead body within the city, providing "a place…where martyrs' tombs could be openly marked" and commemorative services and feasts held safely on sacred days.